As a capable, flexible performer it is hard to pigeon hole Eric Lalor’s act. His warm, energetic onstage presence makes for an unforgettable experience for the audience. With gags that always hit the spot, his engaging, high intensity performances make him one of the top names of ‘must book’ comedians. His first foray into comedy was a bit unusual. In 2006, as one of the participants of RTÉ Two’s Des Bishop’s Joy In The Hood, his first ever gig was filmed on his home turf of Ballymun in Dublin and broadcast to the entire nation. Des went to Ballymun in search of new comedic talent and discovered Eric. Des was so impressed with what he saw that he brought Eric on his record-breaking, nationwide Fitting In tour. Opening the show at Live at the Marquee in Cork, Eric performed to 5,000 people. Since then, Eric has gone from strength to strength and has now garnered a reputation in Irish comedy as a consistent performer, making him one of the most sought after acts in the country. His first year in the highly competitive world of stand-up comedy saw him win the Comedy Cellar and Capital Comedy Club’s Best Newcomer Award. Eric has since been crowned Irish Standup of the Year two years in a row by the readers of entertainment.ie. In 2008 Eric wrote and performed his first solo show, The Lalorpalooza Show, which earned him rave reviews and a sold-out night at Axis, Ballymun. In 2009 he embarked upon his first nationwide tour with fellow comedian Andrew Stanley. He also toured with his second solo show, Here! No Evil which again was met with great reviews before teaming up with Gearóid Farrelly for The Chalk and Cheese Tour and being the warm up act for live TV including The Late, Late Show and Deal or No Deal. He has been a panelist on The Craig Doyle Show on RTE2. 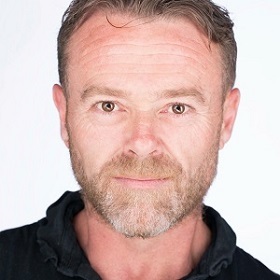 More recently, he has come to the attention of TV producers as an actor and played Cathal Spillane in Fair City. He won the Best Actor Award in the 2017 London Ealing Festival for his role in In The Valley of the Moon. Eric is a regular contributor to Joe.ie and presented the Euro 2016 Live with Kieth Andrews on Radio Nova. To book Eric Lalor or to talk to us about your event requirements, please submit the enquiry form or call us on 087 718 1360.